The second day of our Iceland trip led us a bit outside of Reykjavík where most would consider more of a tourist loop. While it's perfect for a first time trip to Iceland, when I make it back someday, I would probably skip over most of our day's itinerary because there are so many other beautiful places and things to visit in Iceland that are further from the city. We started the day touring the Golden Circle. This is a great beginner's tour because the drive isn't far from the city and you can easily do all of the standard sites in one day. We hopped on a tour with Iceland Horizon and would definitely recommend the company if the Golden Circle is what you are looking to do. The tour size was small and the mini bus was comfortable. Our guide also stopped along the road to meet a few Icelandic horses which is definitely a must do. A few of the highlights on the tour included Geysir, the bubbling hot springs and spouting geyser (they have a few restaurants here and the traditional lamb soup at Geysir Center is also a must try!) as well as Gullfoss Waterfall and Thingvellir National Park. Unfortunately the weather during the day wasn't great and the clouds at Geysir moved toward a total rain/snow/hail storm at Gullfoss. But we still enjoyed it before running for cover! We got back to the hotel around 4PM and after a quick change we were off again to the Blue Lagoon. As touristy as it is we really loved this experience. We splurged on the premium package so we got to enjoy a free drink and two face masks (the silica and algea) in the lagoon. Since our time slot was on the later side at 6PM, we decided to stay for dinner at the LAVA Restaurant (the premium package also comes with a glass of sparkling wine at the restaurant). I wasn't expecting much because I always think at these touristy places that the food doesn't make up for the hype but I was completely wrong about this one. Our food and wine was so delicious. Somehow our jet lag faded because it was a long day - I think it was just about midnight before we arrived home but completely worth it. 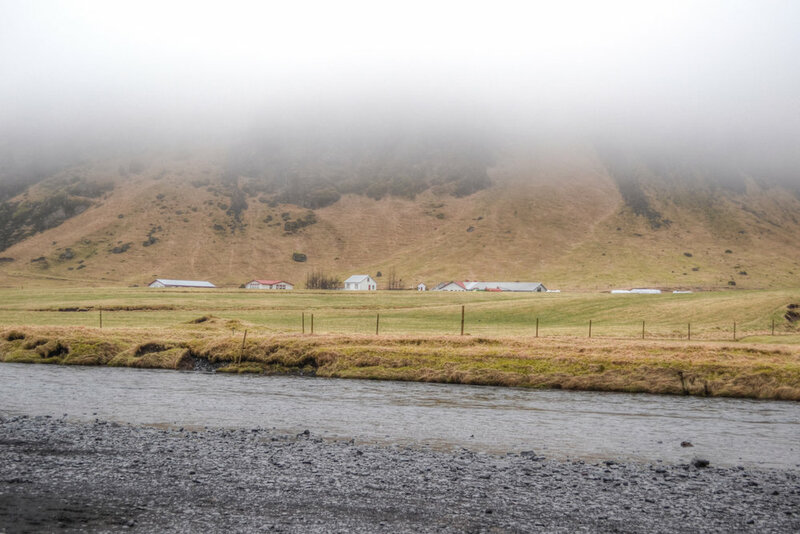 It made sense to combine the Golden Circle tour with the Blue Lagoon to make the most out of the day and would recommend this combination to anyone looking for an easy first day of touring after arriving! Travel Tip: The Blue Lagoon gets VERY busy so I'd recommend booking a time slot first thing in the morning or towards the end of the day to avoid as many of the crowds as possible. Check out what we did on our final full day (and my favorite by far) on the Iceland Itinerary - Part 3.